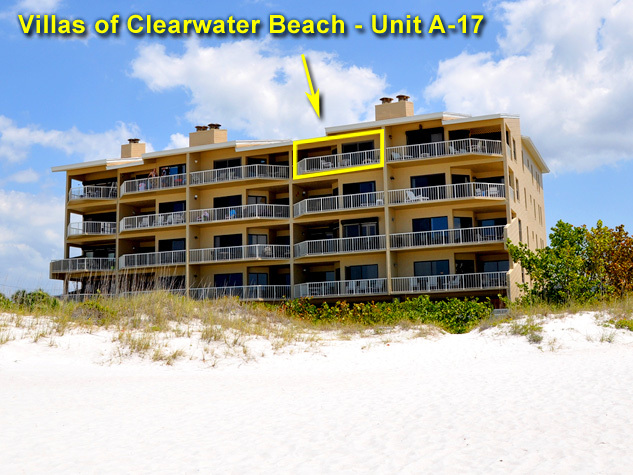 Unit a-17 is a wonderful property located in Clearwater Beach. 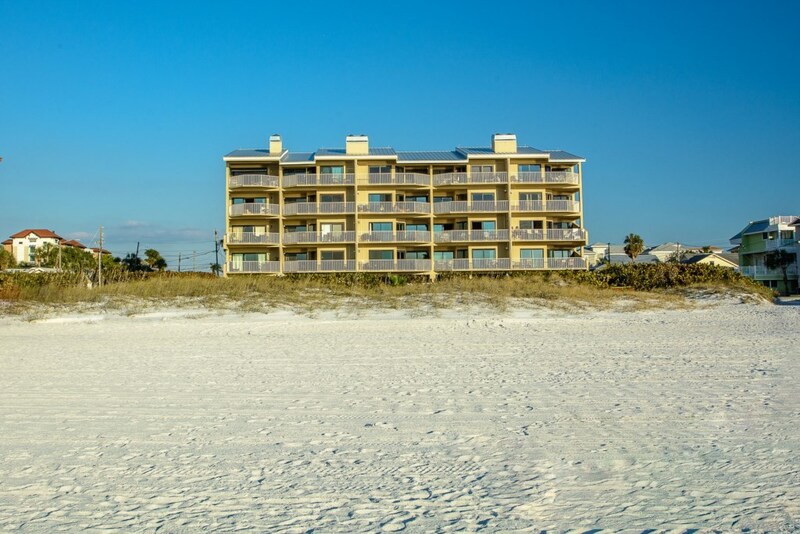 This beachfront condo offers 2 bedrooms and 2 bathrooms sleeping 6 guests. The master bedroom has a King size bed and the second bedroom has two full beds. 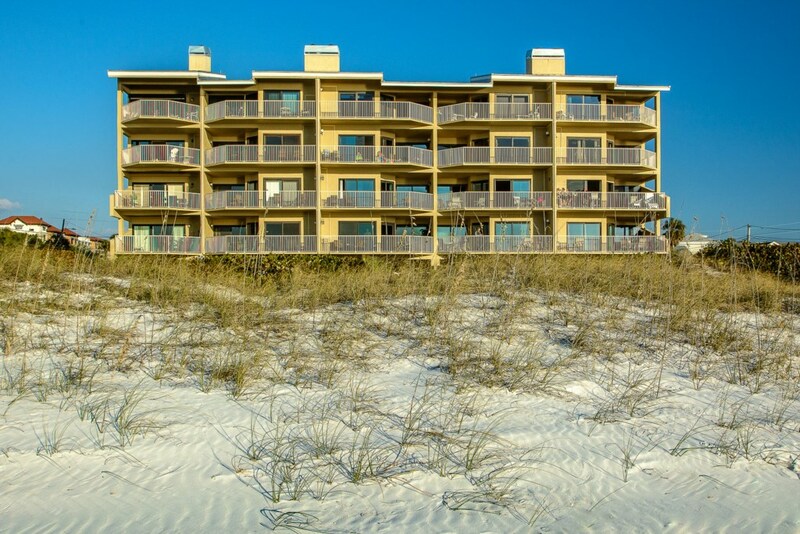 The master bedroom has access to the gulf front balcony and an ensuite bathroom. Our waterfront property has 1350 sqaure feet. 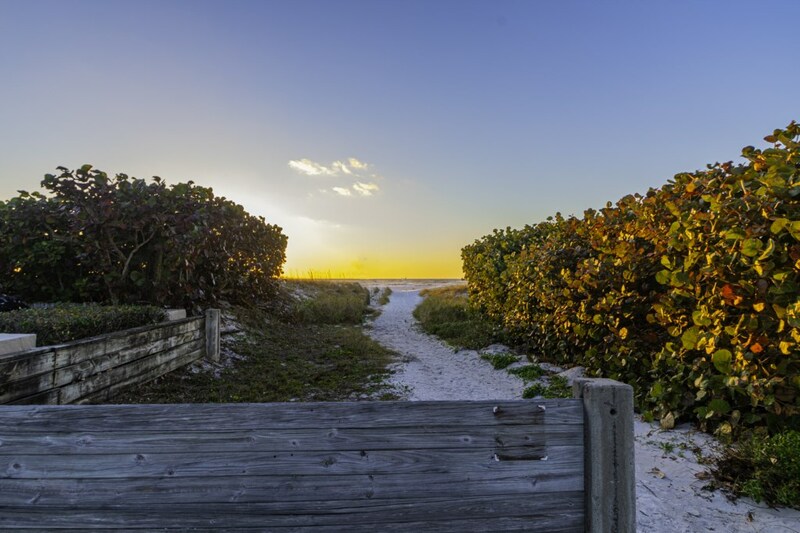 This waterfront condo offers a fully equipped kitchen with granite countertops and stainless steel appliances. The kitchen opens up to the dining and living area, which are spacious and have balcony access. There is plenty of room for everyone in this condo. 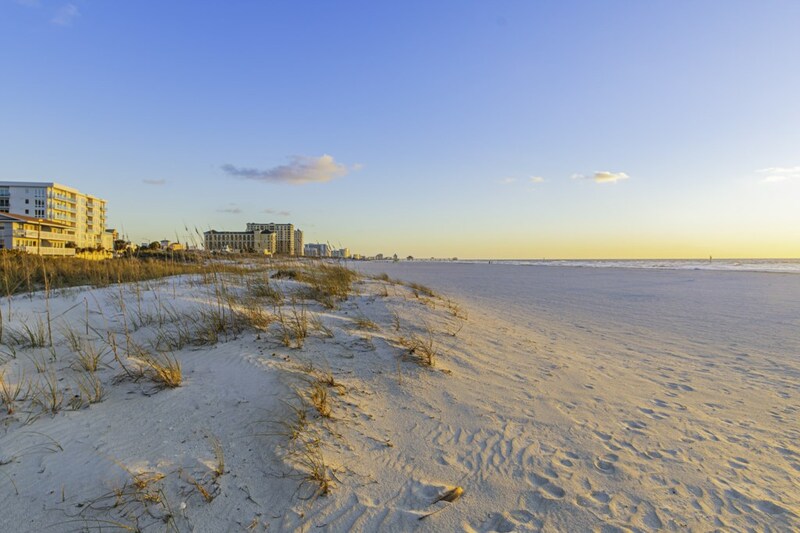 Balcony offers great unobstructed views of the beach and Gulf of Mexico. 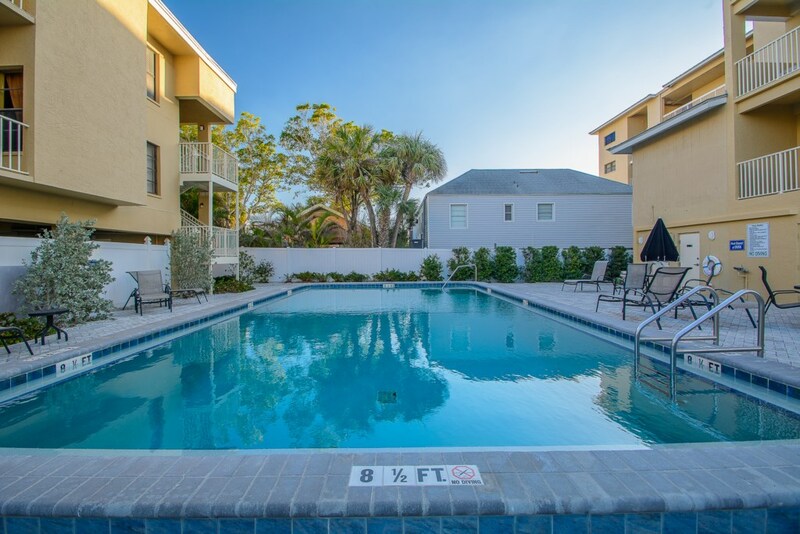 The building offers a shared pool, easy beach access and grill areas. 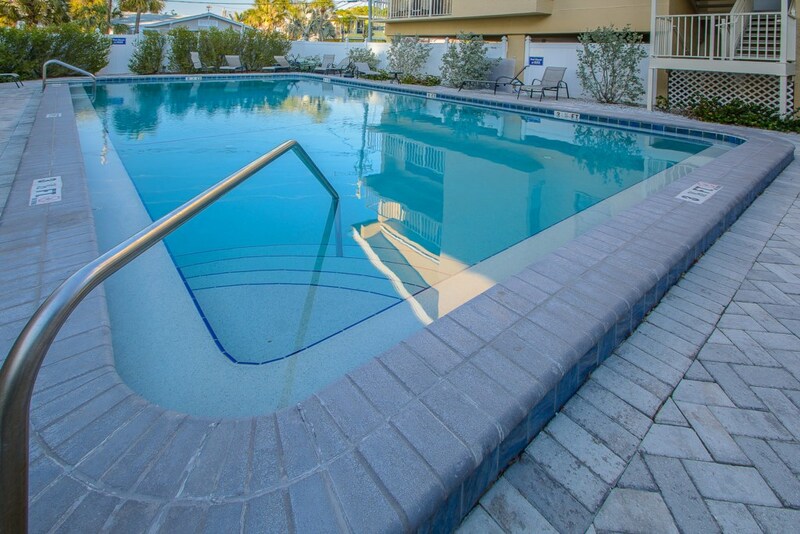 This was a great condo for our nine day stay at Clearwater Beach. A representative from the management company (Mona from BeachTimeRentals) met us at the property to settle us and answer any questions we had about the unit or the area. Everything was in tip-top shape and totally functional. The balcony was huge with a table and four chairs and a chaise. 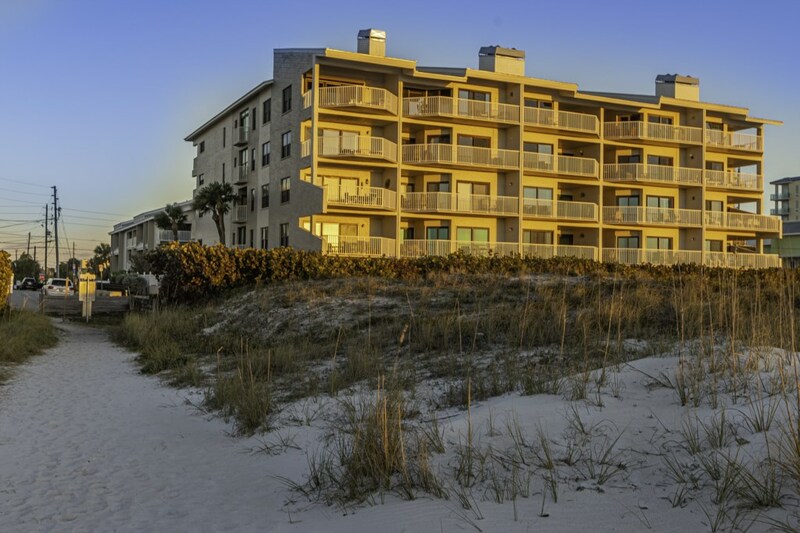 The location on the top floor of the building made for an amazing view of the beach and gulf for the sunsets. The living area was appointed with a leather couch with recliners and two rotating barrel chairs and a large flat screen TV. The master suite was huge with a comfortable king bed, vanity area, walk in closet, two sink areas, separate toilet room and a huge shower. A laundry room in the unit and second bedroom and full bath at the opposite end of the unit would make it ideal for a family or two couples traveling together. 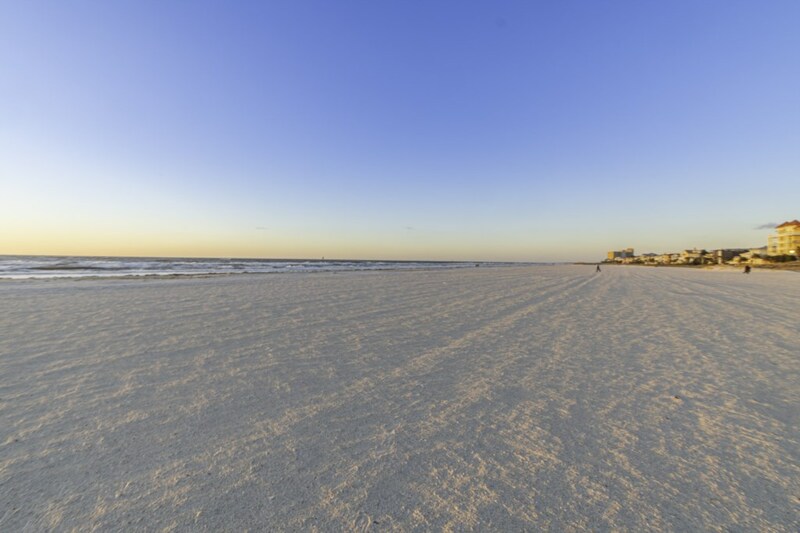 It is within walking distance to Pier 60 and the center of the beach area but still far enough away to be out of the craziness of the center of Clearwater Beach. We would certainly consider staying here again if we return to Clearwater.